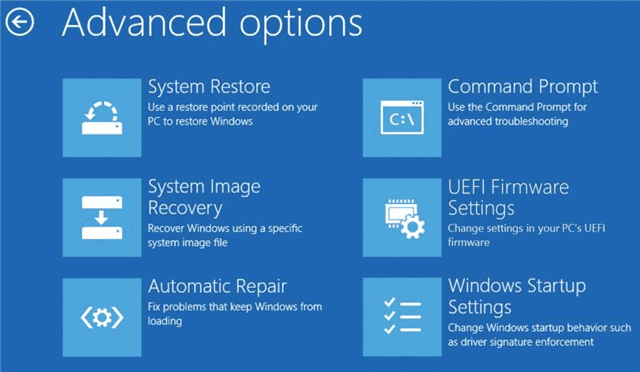 Windows 8 offers a variety of ways to refresh, restore and recover your PC should something happen. You can quickly create a bootable USB flash recovery drive to carry with you on the go. A bootable USB recovery drive for Windows 8 can be useful if you need a quick fix to mounting issues on your computer. 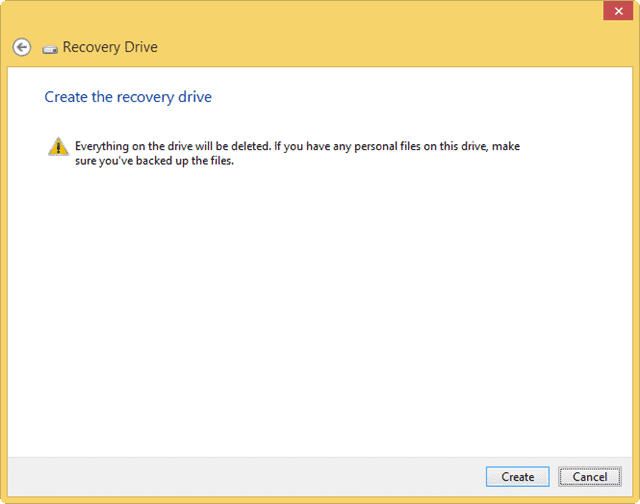 By creating a variety of recovery devices, you can choose the type of recovery you need to perform in Windows 8. We’ve shown you how to create system images through WinUSB Maker, but having choices can help make the process less painful, and a USB flash recovery drive is just another such option. What Type of USB Drive do You Need? 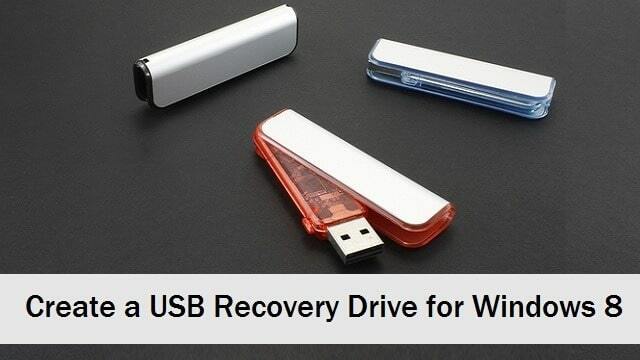 Recovery flash drives for Windows 8 are especially useful if you are using a computer that has a very limited amount of storage space available. Most computers nowadays utilize recovery partitions; these can be useful, but they aren’t always enough if your hard drive itself dies. You need a USB drive that has at least 256 MB of space available. While a bigger USB drive isn’t necessary, it can be helpful to back up other software or files you’ll use in Windows 8 after the recovery process. 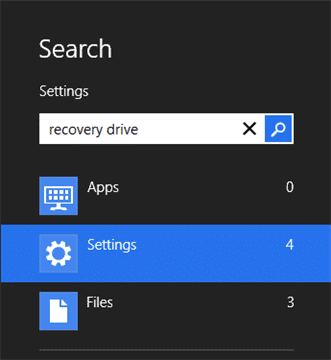 Click on “Create a recovery drive” under “Settings” in the results window. 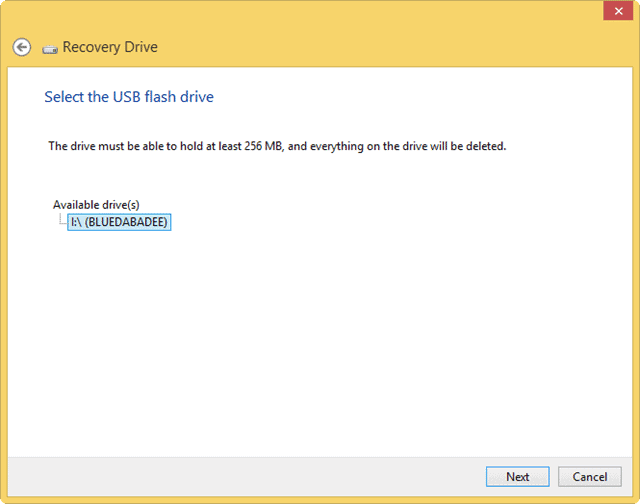 Windows 8 offers a handy walkthrough wizard that makes creating a bootable recovery USB drive very easy for users. You can create a standalone recovery drive or you can create a drive that utilizes the recovery partition that came with your PC. 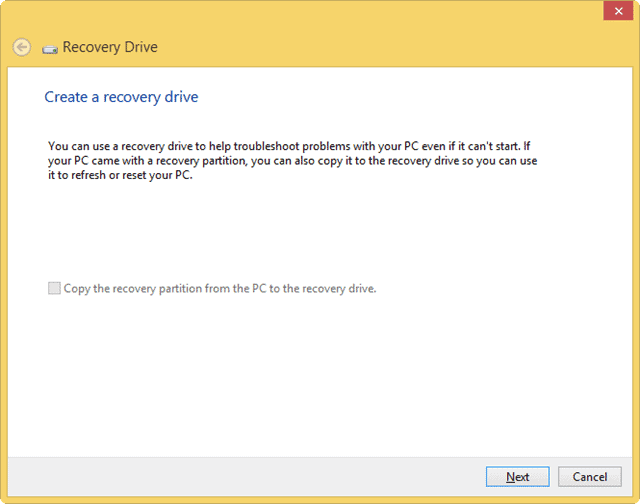 If your PC came with Windows 8, it can be easier to copy the recovery partition to the USB drive as opposed to creating a standalone recovery option. However, if you upgraded to Windows 8 from something like Windows 7, you’ll want to create a standalone drive. You’ll be warned that the process will delete everything currently on the USB device. Ensure you made a backup of its contents before continuing. When ready, click “Create” to start the process. It’ll take just a few minutes to create your USB recovery drive. Sit back, relax and let Windows 8 take care of the rest. Remember: You can cancel the process at any time and Windows will roll back the creation. 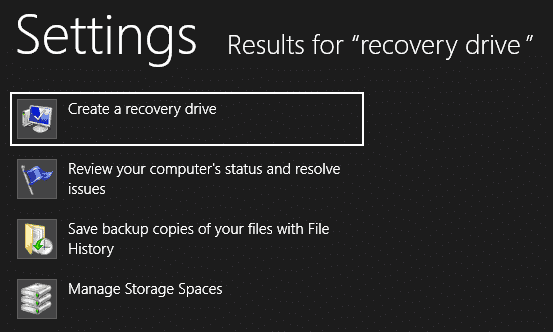 You’ll still have lost everything on the drive, but it won’t finish the recovery drive creation process. 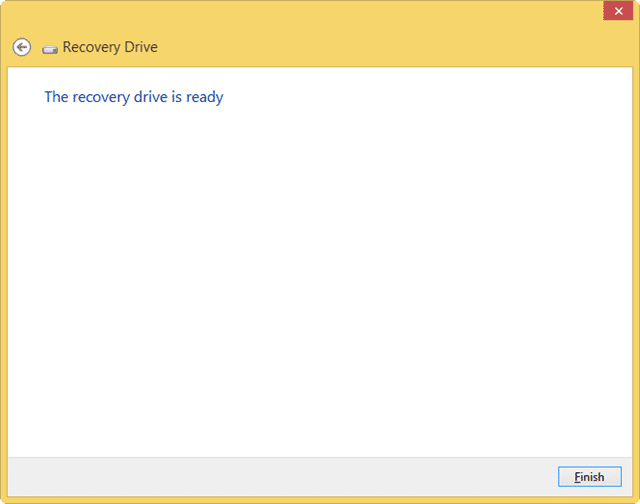 When the recovery drive is finished being created, Windows will let you know. If you chose to copy the recovery partition to the drive, you’ll be prompted to delete the recovery partition from your PC. Do this with extreme caution. Depending on the type of PC you have, the OEM, and other factors, it may be safer to keep both available especially if your PC originally had a previous version of Windows installed on it. Ideally, when you reboot your PC and plug the USB drive in, your computer should recognize it has bootable files and boot it on your behalf. However, not all PCS work this way and Windows 8 did change the way systems boot so that they load quicker. If you restart your PC, and the recovery USB drive doesn’t load, you want to use the keyboard short “Windows Key + C” to open the Charms Bar. Then, click “Settings” and “Change PC settings.” Click on “General” settings and scroll down until you see Advanced startup. You’ll want to ensure the USB device is plugged into your PC and click “Restart now” to begin the advanced startup process. This will allow you to not only boot from your recovery drive but also choose a variety of other Windows restore, recovery and refresh options that can help reinstall, repair or otherwise troubleshoot Windows 8 issues. 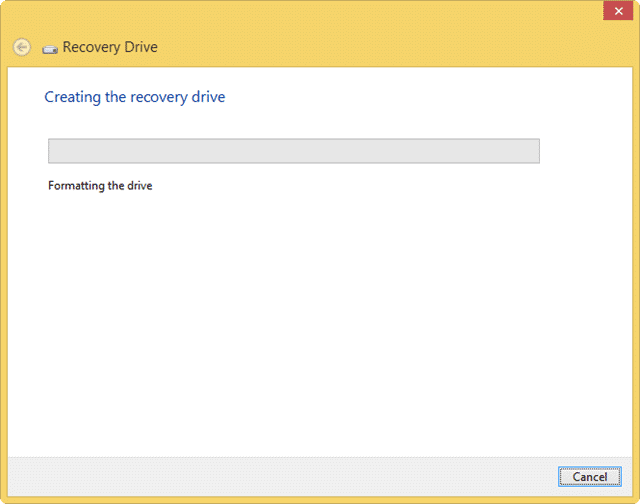 How Useful is a USB Recovery Drive in Windows 8? Removable media, such as USB drives, are the way of the future. We can create bootable OS’ from them, recovery drives and much, much more. By using what Windows 8 offers in the way of recovery options, you can keep yourself covered should something ever happen to the PC. Worst case scenarios no longer exist when you have a variety of options to take care of issues that pop up in Windows 8. What is your preferred method of backing up your PC?